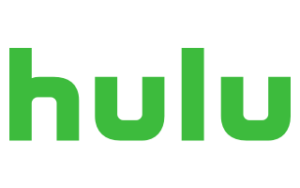 Hulu with Live TV boasts good Alabama football coverage plus tons of on-demand content for a great price. With the reliability that streaming services can’t offer, DISH has lots of channels with steady pricing.  DIRECTV’s package has the same reliability and local network coverage as DISH with the addition of NFL access, but it also includes a significant price hike after the first year. Data effective 9/4/2018. Offers and availability may vary by location and are subject to change. While you’re probably still riding high after last year’s nail-biting championship win, the 2018 season is officially upon us and with it, a chance for another championship. With Saban leading the way at the season opener September 1, let’s hope the tide keeps on rollin’ (get it?). If you can’t make it down to the old alma mater this season, figuring out how to watch the Crimson Tide from home is top priority. It can be difficult to know what service is best for cheering on Alabama, but lucky for your, we’ve got the best ways to view ‘Bama’s try for a repeat championship. As the returning national champions and the preseason number one entering 2018, Alabama will certainly claim a spot in ESPN’s main coverage this season. Games 2 and 3 are already scheduled. Game 1 is slotted for ABC but the rest of the season is still listed as TBA. Likely, games will continue to show up on SEC contracted channels like ABC or the SEC Network. Check below to see what channel each plan specifically provides. With all of these services providing the basic channels needed, keep reading for the specifics as to how they stack up on what’s important to you. Hulu with Live TV is like the Hulu you used to know but with live channels on top of the on-demand content. It includes the ESPN and ABC needed for most Alabama games with no commitment or contract. Try it for free here. First up, Hulu Live offers a good product for a great price. While Hulu Live is missing some notable channels like STARZ, they focus in on the programs you actually want—sports. You get both ESPN and the SEC Network and access to more local channels you need for college football than most streaming services. Basically, Hulu’s got you covered for Alabama’s big games. Along with that, you also get Hulu’s huge on-demand content included in your subscription. So you can keep up with the Crimson Tide’s score and binge watch Brooklyn Nine-Nine to your heart’s content. Hulu Live’s streaming quality depends completely on your internet connection. So one bad connection and instead of seeing the greatest catch of the season, you could be staring at a frozen screen—Talk about frustrating. Accordingly, we’d recommend checking that your internet speed can handle it. If you’re willing to take the risk, Hulu Live offers 50 cloud DVR hours included in your subscription. That’s roughly 12 Crimson Tide games—almost the entire season. Who it’s perfect for: Alabama fans in rural areas who won’t let anything stand between them and the Tide. When you sign up for DISH, you can breathe a sigh of relief knowing you have the reliability of satellite which streaming just can’t offer. Combined with access to over 190 of the most popular channels in America, DISH’s America’s Top 120 Plus package is a strong contender. Look at package options. The America’s Top 120 Plus package allows you to watch all kinds of popular channels during and after football season and, with its nationwide coverage, you’ll get access to local sports coverage as well. In fact, included in this package are all regional sports networks. All for $69.99 a month. Another plus for DISH is its clear, upfront pricing. So sure, you are locked into a two-year contract, and it’s a little pricey—but at least you do get the assurance that your price will stay the same for those two years. Unlike streaming services like Hulu Live, DISH doesn’t rely on the internet so it can almost guarantee consistently clear games. There shouldn’t be any buffering or loss of coverage, so you’ll see every touchdown. While DISH does offer the NFL Network it’s notably missing NFL SUNDAY TICKET. So if your football fan power goes beyond Alabama into the professional realm, you may want to check out here for help watching your NFL team. DIRECTV is pretty even with DISH when it comes to services and products, except that it also offers NFL SUNDAY TICKET. But be warned, DIRECTV’s prices significantly increase after the first year, making it more expensive overall than DISH or Hulu Live. Pick a plan. The CHOICE™ plan offers over 185 channels including TV classic like HGTV and AMC and the ABC and ESPN you need for most Alabama games. Added bonus: you get three free months of premium channels like HBO, STARZ, and CINEMAX included. While DIRECTV seems like a lot of bang for your buck, there are some unexpected rate hikes. So your first year may cost $45 per month, but the second year’s price can bump up to more than double that. There are a few other hidden fees, like a regional sports fee (up to $7.95 a month) and the like, but nothing quite as damaging to your wallet as that rate hike. The CHOICE™ plan offers access to NFL SUNDAY TICKET, so you can get every out-of-market Sunday NFL game. It’s included during your first year but will cost you around $293.94 each additional season. We’re approximating since it’s possible the price could go up in the future. But either way, that’s a pretty steep price per season. Still—if you’re a rural Alabama fan who wants ALL the out-of-market football, DIRECTV is the way to go. All of these services will have you up and ready to watch come September 1 season opener against Louisville. Choose which one best fits your needs and wallet, but no matter what, you’ll be ready to cheer on the Crimson and White. Roll Tide! Still have questions about watching Alabama Football? Leave a comment below.